Researchers from Imperial College London and Hong Kong University have developed the method for “clearing” brain tissue as a way of making the task of tracing the complex circuitries of nerve cells within the brain much less arduous. Traditionally, neurons are mapped by slicing the brain into multiple thin slices and tracking the cells as they pass in and out of many sections, a process that can take weeks. 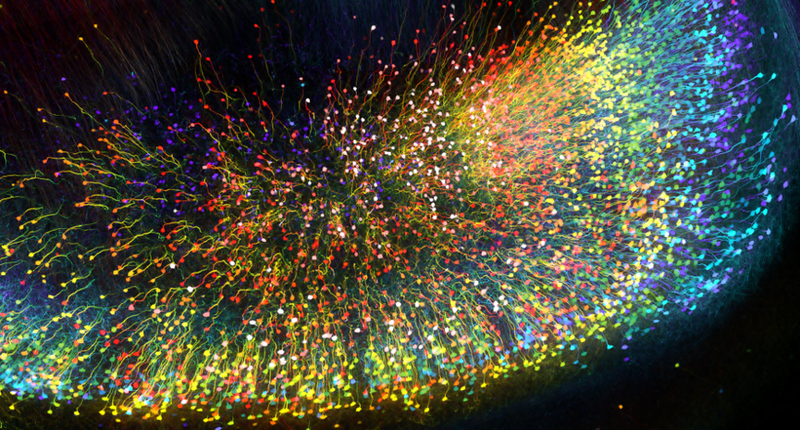 Scanning techniques such as MRI are useful for visualising larger structures, but cannot achieve the three-dimensional resolutions needed to map neurons. Clearing is a technique that uses chemicals which, when soaked into brain tissue, make opaque tissues transparent, leaving the neurons visible without altering or changing their structure. However, up to now it has only been effective in rodent brain tissue, and there are major differences between the brains of mice and those of humans, including important differences in the chemistry of the tissues and the density of certain substances. The Imperial/HKU team developed a new clearing solution which they called OPTIclear. Described in a paper in Nature Communications, the solution contains three main components: iohexol, a contrast agent used to visualise blood vessels in x-rays; 2,2’-thiodiethanol, a sulphur-containing alcohol which is used in microscopy; and N-methylglucamine, a urea derivative which was identified thanks to its ability to render boiled egg whites soluble and which helps the solution to penetrate regions containing dense concentrations of proteins. The team combined this solution with fluorescent staining, and on testing it with human brain tissue, managed to visualise microscopic structures including nerve cells, glial cells (non-nerve tissue that supports the structure of the brain) and blood vessels. One particularly striking result was that the team imaged 3,000 large neurons in the human basal forebrain in five days, a task which would normally take three weeks using conventional techniques. They also mapped the dopaminergic neurons in the brainstem – structures that generate the signalling chemicals involved in movement – in three dimensions on the millimetre scale. The solution is effective both on freshly obtained brain tissue and in clinical samples that have been kept preserved for over 30 years.